Jori Lehtera (15) is checked by Carolina Hurricanes defenseman Haydn Fleury (4) during the second period at Wells Fargo Center. 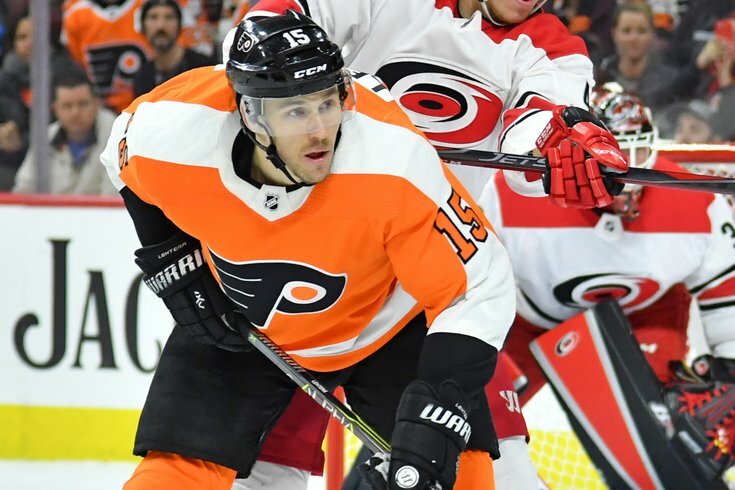 A busy week for the Philadelphia Flyers got even noisier with news out of Finland that a cottage owned by forward Jori Lehtera had been raided over the summer in connection with a suspected cocaine ring investigation. According to TMZ Sports, Lehtera has denied any involvement in the suspected cocaine ring, no charges have been field against him, and the 30-year-old Finnish skater was not at the cottage when it was raided. Seven people already have been arrested in connection to the suspected drug dealing ring, according to TMZ. Flyers general manager Ron Hextall released a statement Wednesday addressing the reports from Finland. The Flyers traded for Lehtera in the Brayden Schenn deal in 2017. Lehtera played in 62 games last year for the Flyers, scoring three goals and five assists and recording 14 penalty minutes. He's in the final year of his contract.